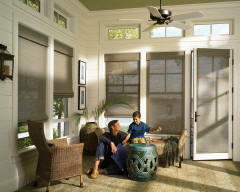 Custom Blinds & Design innovative roller shade collection offers window treatments that feature excellent light control while providing a clean, stylish look. 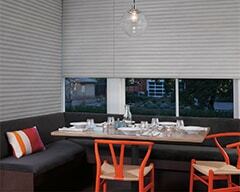 An innovative alternative to solar screens and woven wood shades, Alustra Woven Textures beautifully showcase natural textures and woven patterns. 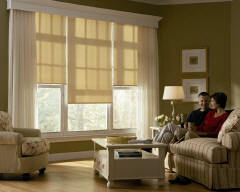 Designer Roller Shades offer a diverse range of custom fabrics, including Traditional, Natural and Soft. 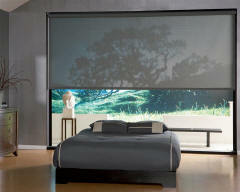 Designer Screen Shades are an innovative combination of sheer beauty and functional technology, offering visibility of the outdoors while protecting valuable furnishings from harmful UV rays indoors. Designer Banded Shades are an excellent choice for anyone who wants stylish window treatments for their home, but also doesn’t want to be contained by only a few different options for customization. 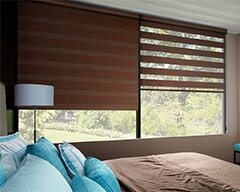 Sonnette™ Cellular Roller Shades are a unique combination of easy to use, light filtering roller shades, and the superior energy efficiency found only in honeycomb shades.